Steven (Chicagoland, United States) on 28 February 2019 in Landscape & Rural and Portfolio. View looking east toward Lake Michigan from on to of the southernmost breakwater. Photo captured February 18, 2019 after a weekend of more snow. Wonderful framing. 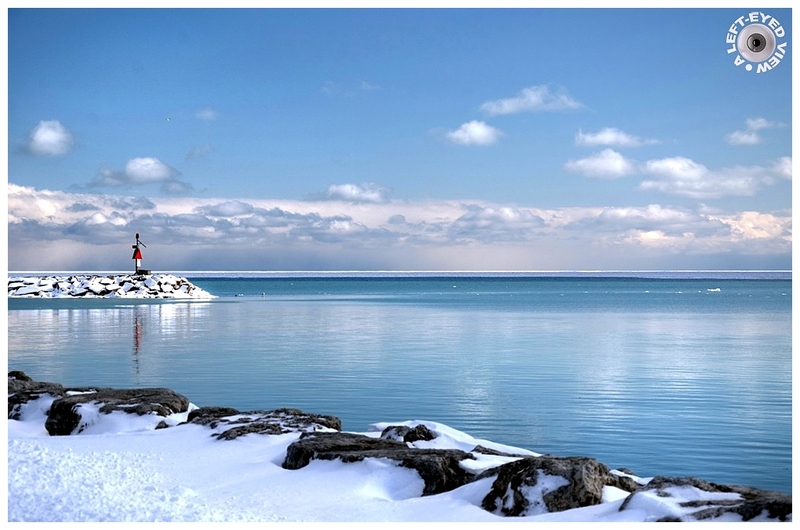 I like the first shot of snow with the intense blue of the water and softer of the sky. Ce blanc ce bleu quelle pureté et image quel rendu des tons fantastique captage. A cool moment for sure ! Beautiful composition ! superb light and contrast between blue and white ! Superbe contraste entre la neige et l'eau. Magnifique avec les rives sous la neige. Très belle photo. Une bien jolie palette de bleus, superbe ambiance bravo ! This is wonderful !! Thanks for the nice weather. COmposed beautifully. I like the clarity of this cold view and that pop of red. Lovely snow in the front space !!! Very beautiful and very cold! This is a beautiful shot. I like the composition with the strong thirds. This is a magnificent view. Gorgeous color. I love how you can see so far toward the horizon. A good day for photographing blue. Tout est net, beau, limpide et froid, j'aime cette ambiance. This is Just Beautiful, sir!! Oh that's gorgeous!! The ice blue of the water, the red on the lighthouse, and snow in the foreground... masterful! the composition, the framing are perfect. the look goes in all directions and to the background and this white horizon too. Très belle composition, la lumière est superbe! Cold and very attractive. It makes a fine landscape. Enjoy instead of us, dear Steven and BRAVO to you for taking this soothing picture. Calm and serene, where that red tip, stands out. Just looking at the single line horizon installs peace. Wonderful pairing between sea and snow!